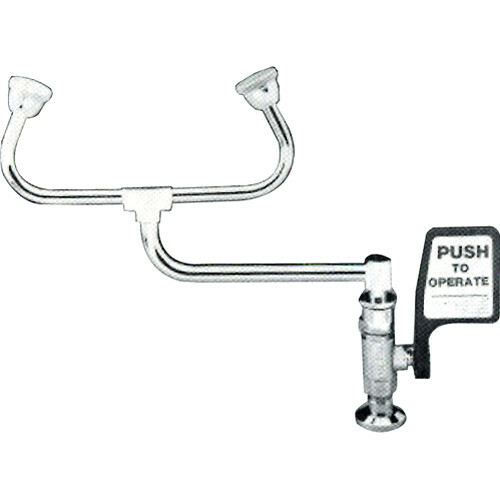 The Arkay RG-1806-RH is a deck mounted swivel eye wash station. It features two Gentle Spray outlet heads and 1/2 IPS stay-open ball valve with flag handle. Outlet heads swivel 90° from storage to operational position 1/2" IPS inlet. Emergency eye and face wash stations are an important safety feature of any darkroom or chemical area. The Arkay wash units produce a soft, wide flow of water to help in the immediate removal of harmful chemicals.